When you file for consumer bankruptcy, either through liquidation in Chapter 7 or a repayment plan in Chapter 13, you are immediately given protection against your creditor's attempts to collect debts owed. This automatic stay under the bankruptcy law prohibits all creditors, even the plaintiff who obtained the default judgment, from taking any action to demand payment. The automatic stay protections are so powerful that if a creditor willfully ignores your right to be free from harassment, you may file a lawsuit against the creditor to recover damages. At the conclusion of your bankruptcy, most types of monetary awards owed to the plaintiff will be partially or fully discharged by the court. If you filed Chapter 7 bankruptcy and did not have assets liquidated by the court to pay your creditors, the default judgment award is fully discharged in your bankruptcy. If you had assets in your Chapter 7 bankruptcy or you filed for Chapter 13 bankruptcy, the plaintiff may be eligible to receive a small portion of the default judgment award. At the conclusion of your bankruptcy, any unpaid portion of the judgment will be discharged. 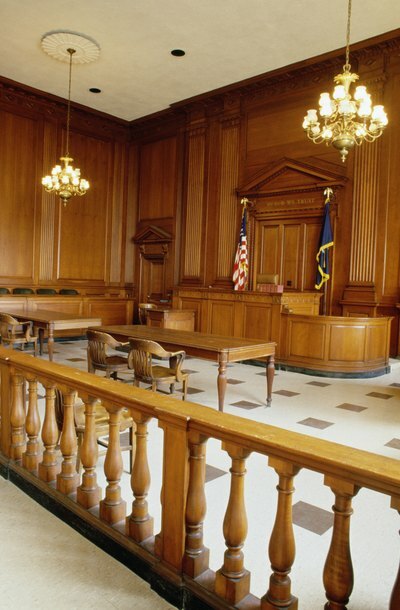 Not all civil judgments are subject to discharge in bankruptcy. For example, judgments issued against you in a personal injury case survive bankruptcy. According to the U.S. Bankruptcy Code, these nondischargeable judgments include claims filed in cases of "willful and malicious injury," certain tax debts, child support and alimony payments, or judgments for fraud and embezzlement. If the plaintiff in your lawsuit failed to register the default judgment with the court in order to obtain a judicial property lien against you, the monetary damages award is considered an unsecured debt in your bankruptcy and given a lower priority for payment under both Chapter 7 and Chapter 13 bankruptcy. However, if the plaintiff files an "abstract of judgment" with the clerk of the court, he can attach your property, seek to take possession and sell the property to satisfy your debt. Although bankruptcy will likely discharge your obligation to repay any monetary award owed to the plaintiff, it is more difficult to remove a judicial lien attached to your property. The bankruptcy court has the authority to order the California state court to remove a judicial lien attached to your property if you meet specific conditions. First, the lien must be the product of a lawsuit against you and not because you voluntarily agreed to it. Second, the plaintiff can not already be in possession of the property to which the lien is attached. For example, if the plaintiff has repossessed your car, you are not eligible to remove the judicial lien attached to it. Third, you can have the court automatically remove any judicial liens imposed on household goods, appliances and real estate, such as your home. Finally, you are able to remove any judicial lien placed on any property if the lien impairs your ability to fully benefit from any exemption on property during your bankruptcy.